Top Rated Local® is pleased to announce that Frisco Counseling and Wellness is a 2018 award winner! We spoke with Holly Lockett, LPC and co-owner of Frisco Counseling and Wellness, about her business’ impressive online reputation. For Holly, the work Frisco Counseling and Wellness does is about so much more than just a job — it’s an opportunity to care for people that need it. 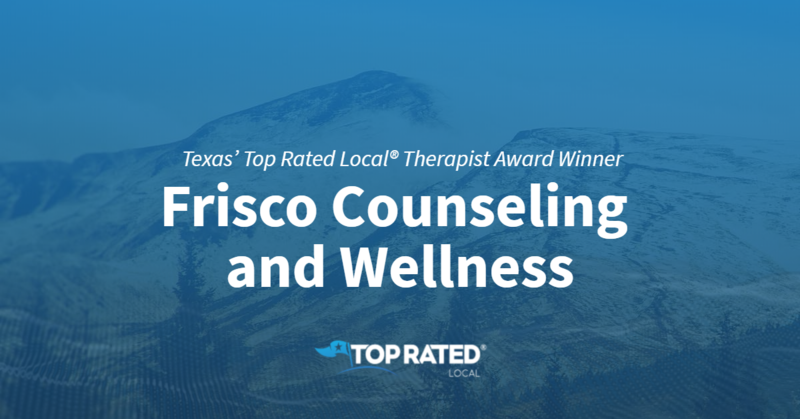 Congratulations to the team at Frisco Counseling and Wellness for being a 2019 Top Rated Local award winner, and thank you so much, Holly, for taking the time to speak with us!